My Inner Shakti turned 5 yesterday! FIVE! You guys, if MIS was a kid, it would be going to kindergarten this year. Ummm…what!? When I first started blogging, I never imagined I’d still be at it five years later. But here I am! A common question I get when people learn that I have a blog is “why do you do it?” At the end of day, it boils down to the fact that this space gives me SO MUCH joy! From the community, to the comment/email conversations, to the friendships I have made over the years, to the opportunities, to the simple fact that this little corner of the internet is all mine, My Inner Shakti fills my heart with pure joy! I absolutely cannot imagine my life without it in some form or fashion. And five years of blogging means that so many important thoughts, memories, and occasions “live” in this virtual space. It blows me away that everything from our engagement to my sister’s engagement (and all the in between “stuff”) is documented here! While most of the above would be possible with no readers/no engagement, it would also be no fun! So whether you’ve been with me from the early days (my very first post!) or are a new reader, THANK YOU!!! You all are a HUGE part of why MIS brings me so much freaking happiness! Happy Birthday to MIS! have enjoyed MIS’s journey in the past few years! Wishing you more success and growth with MIS. Thanks for sharing your thoughts with us. Would love to catch up when u r in ATL next time..
5 years! That’s an accomplishment! Happy Birthday MIS! Happy Blogiversary Ta ta :)! Congratulations!! That’s a big milestone! Hoping 2016 is the year we finally meet!! 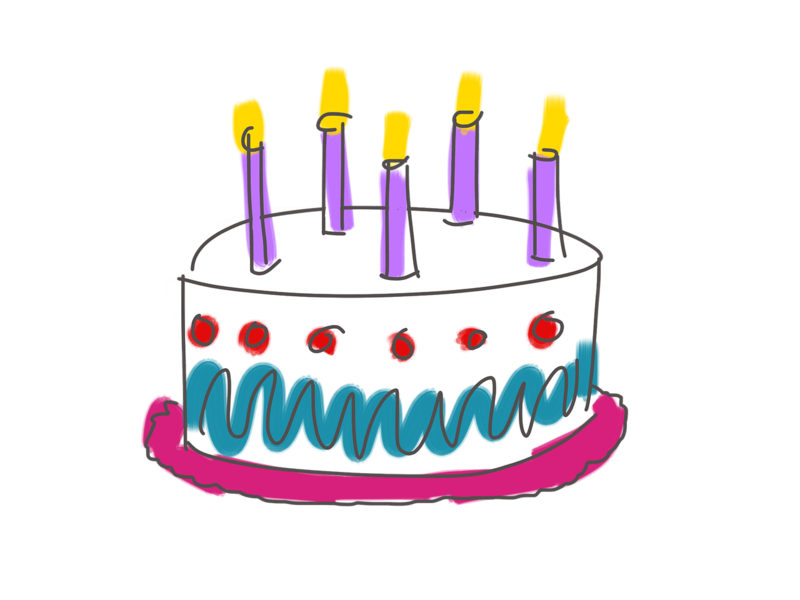 Coming late to the blog bday party (stupid sickness!) but HAPPY BIRTHDAY MIS! So proud of you for keeping up with this space and for always bringing a smile to my face with something fun, insightful and wonderful to read! Here’s to a great year and more years of blogging for you girl!